ALNILAM’s music is alternative and post-rock influenced. ALNILAM takes its name from the middle star in Orion’s Belt. The word Alnilam means “string of pearls,” an ancient, poetic metaphor for the three bright stars that make up the belt, and an astral image that resonates with the unearthly quality of the band’s dreamy, atmospheric music. Singer-songwriter Elena Pinto writes about themes like love, loss, impermanence, dreams, memory, and transformation. She grew up in Costa Rica surrounded by nature, books, and music. As a child, Elena had the notion that someday she would write her own lyrics. Her path to song writing was a winding road through other art forms and several cities. In 2011 she moved to California and began writing the songs that would give rise to ALNILAM. Indigo Sky, ALNILAM’s debut album, contains ten songs Elena wrote building upon Turkish composer Serhat Arslan ‘s instrumental pieces. Ranging from melancholic to uplifting, they have attracted an organic base of passionate fans from all over the world, especially on Soundcloud, where two tracks, Alnilam and Wish, made the indie rock trending list. ALNILAM’s music veers between the post-rock richness of Explosions in the Sky and the magical ambient sense of Yann Tiersen and Beach House. It blends beautiful guitars, soft vocals, and an ethereal production, into a hard to define sound that has been called indie, alternative, dream pop, folk rock, and shoegaze. Indigo Sky was recorded and produced in Los Angeles by Manuel Jimenez at Arimaka Studios, and mastered by Eric Boulanger at The Bakery. It features Elena Pinto on vocals, Serhat Arslan on guitars, Jorge Balbi Castellano on drums, and Ian Walker on bass. Composer Sandro Morales Santoro‘s arrangements were performed by an impressive string quartet: Kathleen Sloan: first violin, Eric Boulanger: second violin, Andrew Duckles: viola, Evgeny Tonkha: violincello. The album also features Jordan Sommerlad‘s back vocals on Rise and When it Comes to You. Indigo Sky was released November 13, 2015. It is available on Amazon, Spotify, iTunes, Apple Music, Google Play, Bandcamp, Rdio, Deezer, Tidal, YouTube Music, and Beats/MediaNet. SERHAT ARSLAN (composer, multi-instrumentalist) lives in Los Angeles, CA. Originally from Samsun, Turkey, in 2008 Serhat left Istanbul, where he was studying civil engineering, and moved to Washington DC. He then studied music and film-making before making his way to California. A driven composer since he was 18, Serhat has published 8 instrumental albums on Bandcamp in the last three years. ELENA PINTO (singer, songwriter, artist) lives in Santa Monica, CA. Originally from Costa Rica, she grew up listening to her brother’s record collection. Her background includes an Associate’s Degree from The Colorado Institute of Art and a BFA from Parsons School of Design in New York. 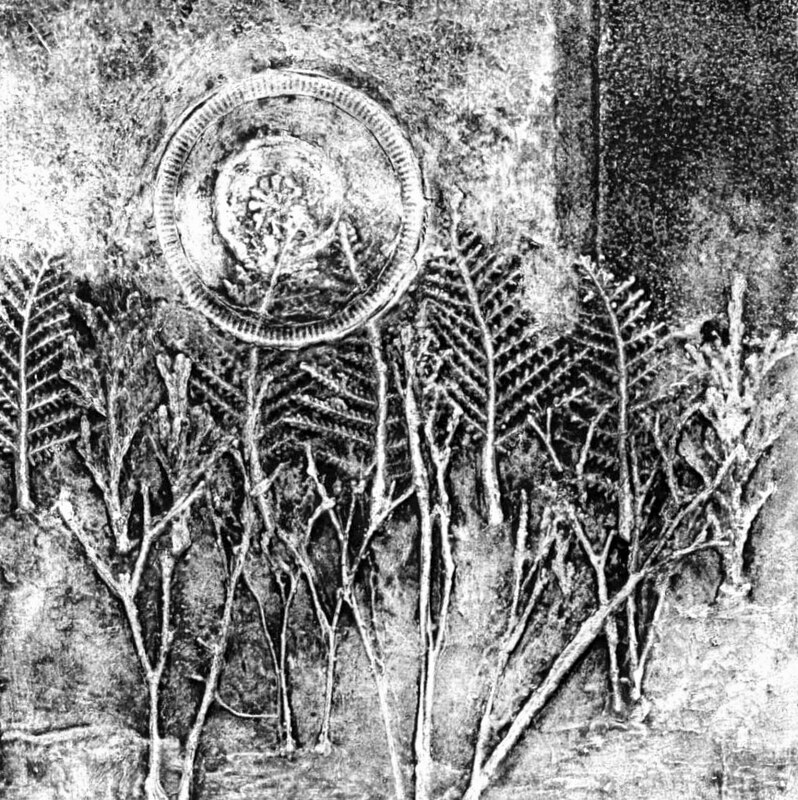 She worked as an artist and muralist in NYC, and at The Danbury Mint in Connecticut. Elena started writing songs in 2011 after moving to California. She began collaborating with Serhat a few weeks later, writing lyrics for some of his instrumental pieces. 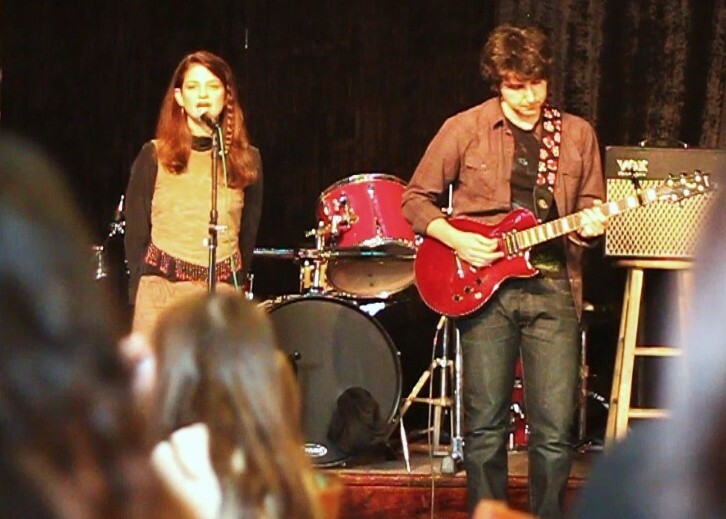 Alnilam’s first live performance March 2nd, 2013, at The Talking Stick Cafe, Venice, CA. ALNILAM turned to Manuel Jimenez (sound engineer, producer) at ARIMAKA for broadcast quality recording, mixing and mastering. The exciting result was their self-titled EP : ALNILAM – orchestral studio versions of 4 tracks from Starlings and a new song, Wish. All 5 songs were released as singles between June 21 and Sept 22, 2014 on Bandcamp. A few weeks later, Alnilam and Wish appeared on Soundcloud’s trending music list (indie rock genre). The EP featured Serhat Arslan (guitars), Elena Pinto (lyrics, vocals), Jorge Balbi Castellano (drums), Ian Walker (bass), Sandro Morales Santoro (piano, string and piano arrangements), Kathleen Sloan (first violin), Eric Boulanger (second violin), Andrew Duckles (viola), Evgeny Tonkha (violincello) and Manuel Jimenez (minor percussion). 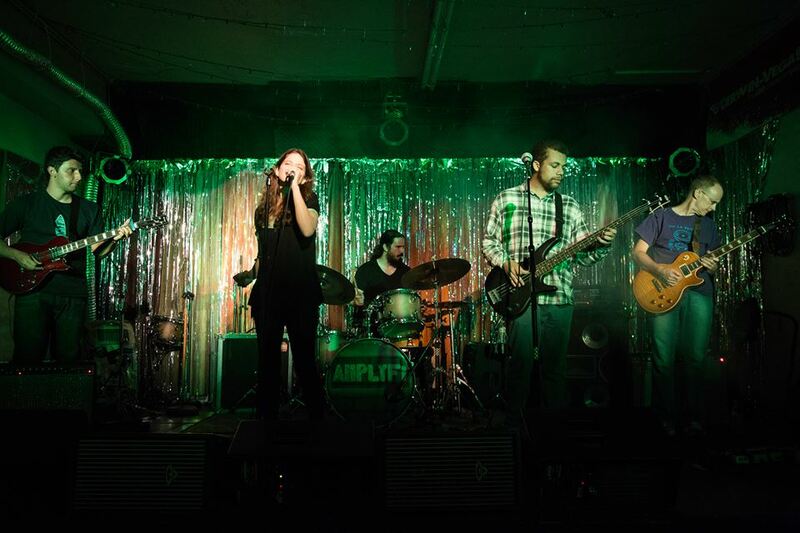 In May, 2014 the duo welcomed Jordan Sommerlad (guitar) and Quinn Dean (bass). Trevor Martin (drums) joined in March, 2015, and Mark Humphrey replaced Jordan in August, 2015. 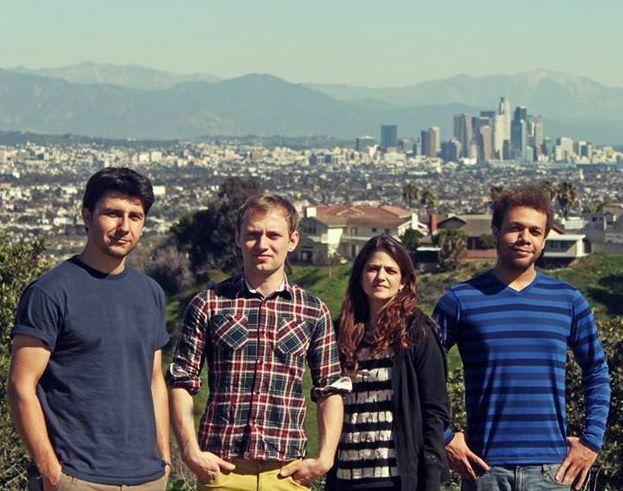 The band performed in the LA area until January 2016, when Serhat Arslan left ALNILAM to pursue other interests. 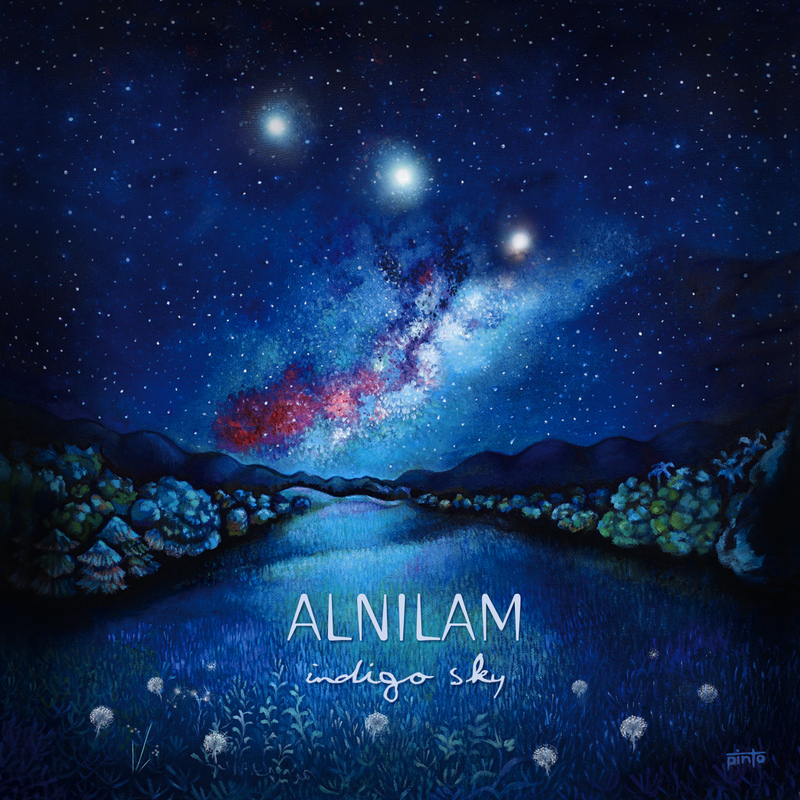 ALNILAM‘s album, INDIGO SKY was released November 13, 2015. INDIGO SKY features Elena Pinto (Lyrics, Vocals), Serhat Arslan (Guitars) Jorge Balbi Castellano (Drums, Percussion), Ian Walker (Bass), Kathleen Sloan (First Violin), Eric Boulanger (Second Violin), Andrew Duckles (Viola), Evgeny Tonkha (Violincello), Jordan Sommerlad (Back Vocals), Manuel Jimenez (Minor Percussion), and Sandro Morales Santoro (Piano, String and Piano Arrangements). The 10-track album includes the 5 releases from the ALNILAM EP plus 5 new songs: Lilac, Rise, Virgil’s Request, Smaller Dreams, and When it Comes to You. It was recorded, produced, and mixed by Manuel Jimenez at ARIMAKA, in Los Feliz, CA and mastered by Eric Boulanger at THE BAKERY, in Los Angeles, CA. Elena Pinto is currently working on a new album, a collaboration with Daniel Wright, lead singer for the Ojai band Radio Skies, painting, and acting/singing in the plays The Daughters of Indra, 50 Shades of Perfection, and Democrazy at the Santa Monica Playhouse.